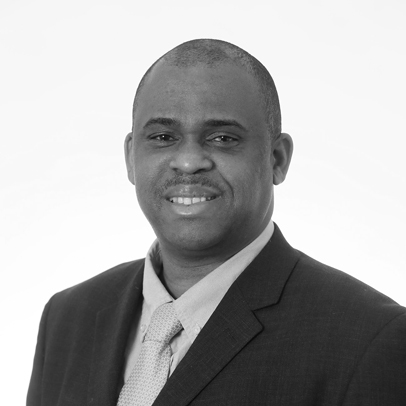 Dr. Carlisle George is a lawyer (Barrister) and computer scientist. Among other qualifications, he holds a Masters degree (LLM) in Information Technology & Communications Law from the London School of Economics, and a Doctorate (PhD) in Computer Science from the University of London (Goldsmiths). He is qualified as a Barrister and was called to the Bar of England and Wales at Lincoln's Inn (London) and the Bar of the Eastern Caribbean Supreme Court (St Lucia). He is an Associate Professor, Programme Leader (MSc Information Security and Digital Forensics), Chair of the Computer Science Research Ethics Committee, Convenor of the ALERT (Aspects of Law and Ethics Related to Technology) research group, and Director of Studies (Supervisor) for several PhD students. He has also taught in the Law Department at the London School of Economics. Dr. George is the author of many academic publications focusing on his research interests that include: legal aspects of eHealth, privacy, data protection, information technology law, Internet law, intellectual property law, legal aspects of digital forensics and legal aspects of data science. He has co-edited two books focusing on legal, ethical, social and governance aspects of eHealth and medical informatics respectively. He has been involved in several EU funded research projects as a legal expert and/or researcher including: STU(2016)556957 (A 2016 EU-wide study on the legal and political context for setting up a European identity document); VALCRI (Visual Analysis for Sense-Making in Criminal Intelligence Analysis); SAMi2 (Semantics Analysis Monitor for the illegal use of the Internet); EAHC/2013/Health/06 (An overview of the national laws on electronic health records in the EU Member States and their interaction with the provisions of cross-border e-health services). Dr. George has been actively involved in numerous external academic activities including as an invited conference speaker, conference programme committee member, workshop co-organiser and member of the editorial board of the International Journal of Electronic Security and Digital Forensics. He is a co-founder and member of the Advisory Board of the European Centre for the Study of Ethics, Law and Governance in Health Information Technology. He is also a Fellow of the Higher Education Academy (FHEA) and has served as an external examiner for several universities. He is a member of several professional bodies including the Honourable Society of Lincoln's Inn and the International Federation for Information Processing (IFIP) Working Group 9.2. Legal/regulatory aspects of digital forensics, e-commerce, data science and information technology use. Privacy, data protection, information technology law, cyberlaw, intellectual property law, legal aspects of eHealth, legal aspects of digital forensics and legal aspects of data science. EU Project: An overview of the national laws on electronic health records in the EU Member States and their interaction with the provision of cross-border eHealth services”. European Centre for the Study of Ethics, Law and Governance in Health Information Technology (ECELGHIT). IFIP Working Group 9.2, Social Accountability and Computing. Member - Programme Committee of thematic track on Artificial Intelligence and Law, 19th EPIA Conference on Artificial Intelligence 2019, 3-6 September 2019, Vila Real, Portugal. Member -Programme Committee - Workshop on Legal Issues Intelligent Environments (LIIE'19), 15th International Conference on Intelligent Environments, June 24-27 2019, Rabat, Morocco. Member - Programme Committee - 12th International Conference on Global Security, Safety & Sustainability (ICGS3), 16th -18th January 2019, London. Member - Programme Committee - 13th International IFIP Summer School - Fairness, Accountability and Transparency in the Age of Big Data, 20-24 August 2018, Vienna, Austria. Organiser - Workshop on " Developments in ICT and Healthcare - Legal, Ethical & Social Aspects", Middlesex University, 8th-9th March 2018. Member - Programme Committee - Workshop on Legal Issues Intelligent Environments (LIIE'18) at the 14th International Conference on Intelligent Environments, 25th - 26th June, Rome, Italy, 2018. Member - Programme Committee and Program Chair (The Future of Digital Forensics Workshop) - 11th International Conference on Global Security, Safety & Sustainability (ICGS3), 18th -20th January 2017, GSM London. Distinguished Visiting Scholar - University of Miami Miller School of Medicine, Institute for Bioethics and Health Policy USA. September 25-29, 2016. Panel Member- special meeting of the North American Center for the Study of Ethics and Health Information Technology. 10th Annual AMIA Policy Invitational, September 21-22, 2016, Bethesda, Maryland, near Washington, D.C. USA. Keynote Speaker and Member - Programme Committee - Legal Issues in Intelligent Environments'16 Workshop, 12th-13th September 2016 at 12th International Conference on Intelligent Environments, 14th-16th September 2016, Middlesex University. Senior Legal Expert, EU-wide study on the legal and political context for setting up a European identity document. Member - Programme Committee and Chair (IT and Cyber Crime law workshop): International Conference on Global Security, Safety and Sustainability, 9th ICGS3-2013, Williams College, London, 4th-6th December 2013. Member - Programme Committee: The 8th International IFIP Summer School on Privacy and Identity Management for Emerging Services and Technologies, Nijmegen, the Netherlands, 17-21 June, 2013. Co-organiser - Workshop: eHealth - legal, ethical and governance challenges, Middlesex University April 25-26, 2013. Talk on Legal Aspects of eHealth - University Sains Malaysia, Penang , Malaysia, April 2012. Talk on Anti-Forensics - Hong Kong University (SPACE), Hong Kong, February 2012. Co-Facilitator - Workshop on Legal Frameworks for ICT, COMNET & Commonwealth Secretariat, Malta, 30th May to 4th June 2011. Member - CPDP(Computers, Privacy and Data Protection) 2011 Book Programme Committee, May 2011. Co-organiser - workshop: Current and emerging challenges of eHealth privacy,law , ethics, governance and beyond,Middlesex University June 16-17, 2011. Invited Speaker, International conference on security in cyberspace, Serbia Palace, Belgrade, Serbia, 18-19, November 2009. Interview by BBC World Service, "Digital Planet", on digital wills, 21st July 2009 (starting at 13:30 minutes into the programme). Invited Speaker - The 11th International Symposium, Management and Social Responsibility, SymOrg 2008, September 10-13, 2008, Belgrade, Serbia. Session Chair on Intellectual Property, BILETA 2007 conference, University of Hertfordshire, UK April 2007.